Dentons - Should Africa worry about the potential demise of US EXIM Bank? There has been no shortage of well-intentioned laments about the expiration of the authorization of US EXIM Bank on June 30, 2015, at which time the Bank's authority to issue new loans ceased and its operations were limited to managing loans already in its portfolio. The path to the US EXIM Bank's eventual reauthorization on December 4, 2015 was dogged by ideological disputes including a number of issues far removed from the merits of the Bank's mission or from the interests of the beneficiaries served by the Bank. An unlikely coalition of most US business groups, virtually every Congressional Democrat, and many Congressional Republicans who ultimately were willing to buck their party's leadership proved necessary to get US EXIM reauthorized, five months after the US Congressional leadership had allowed the Bank's authorization to expire. Many fervent opponents of the Bank's reauthorization held key positions in US Congressional leadership and in the committees of jurisdiction. As a result, even though US EXIM reauthorization clearly had the support of majorities in both chambers of the US Congress (the House of Representatives and the Senate), highly unusual procedural tactics were required to get such a reauthorization through the Congress and to the President for his approval. Post-reauthorization developments suggest that US EXIM's opponents will continue to look for vehicles to impair the Bank's operations. The Bank has enjoyed a long history. It was established in 1934 by executive orders with the specific objectives of making loans to the Soviet Union and Cuba. It was later made an independent agency by the US Congress in 1945, which is notably the same year as the establishment of the International Monetary Fund and the World Bank. At that time, these agencies were conceived to facilitate financing for international trade and to support reconstruction and development of countries ravaged by World War II—with the rehabilitation of Europe high on the agenda. The focus of US EXIM Bank continued to evolve, with changes in the world economy. There are now some 60 export credit agencies—sponsored by individual countries, such as China, Canada, France or by multilateral institutions—and they play an important role in trade financing across the globe. Such agencies take on credit and country risks that the private sector is unable or unwilling to accept. In the global competition for trade, export credit agencies are particularly critical counterparts for Africa where the domestic banking systems have been relatively weak in their capacity to finance the purchase of goods from overseas. Given the proliferation of export credit agencies around the world, proponents of US EXIM Bank reauthorization contend that any failure by the US Congress to reauthorize the Bank would amount to unilateral disarmament by the US in the competition for trade opportunities. In contrast, the "limited government conservatives" in the US Congress, who are the strongest opponents of US EXIM reauthorization, decry the Bank's activities as "corporate welfare" and an allegedly rigged process that puts the Bank, rather than the private sector competitive process, in the position of picking winners and losers. The consequences of Congress' delay in reauthorizing US EXIM Bank, notwithstanding the clear and powerful arguments in favor of doing so, and the Senate's continuing failure to approve a nominee to the Bank's Board that would give the Bank a quorum and thereby enable it to resume making loans larger than US$10 million are particularly challenging in relation to the Bank's role in Africa. It would be a bitter irony if US EXIM Bank is forced to disengage or limit its operations to making relatively small loans at a time when Africa's rise and integration in the world economy is becoming more visible. Among the many compelling arguments for reauthorization was that US EXIM Bank is highly effective in supporting US-Africa trade. The establishment of sub-Saharan Africa as a priority region for the Bank, recognizes the prospects of long-term economic growth and infrastructure development that would support US exporters' efforts to increase their sales to the region. In 2014, the Bank approved deals worth US$2.05 billion to support exports of US manufactured goods to sub-Saharan Africa (out of the Bank's total support of US$27.5 billion in exports through more than 3,700 transactions in 2014). Contrary to popular myth, the Bank does not cost US taxpayers any money, but rather has earned the US over US$2 billion in its last five years of operation. The Bank has also been instrumental to developing and implementing important sub-Saharan Africa initiatives such as the Obama Administration's Power Africa Initiative, which seeks to contribute to adding 30,000 megawatts of new electricity generation capacity and increasing electricity access by at least 60 million new connections. Clearly, continuing and expanding US EXIM's support for such initiatives in Africa requires that US EXIM have a quorum on its Board that will allow the Bank to resume doing larger deals. As noted, the opposition of key members of the US Congressional leadership and the Chairs of the committees of jurisdiction (House Financial Services and Senate Banking) required that a US EXIM Bank reauthorization take a very unusual procedural path. The Bank's four-year reauthorization ultimately ended up "hitching a ride" on a separate "must-pass" piece of legislation as it was included in a long-term highway and transit reauthorization conference report passed by the House and Senate on December 3 that the President signed on December 4, 2015. Given this opposition to an EXIM reauthorization, in the months leading up to the June 30, 2015 expiration of the Bank's authorization, it became clear that the House Republican leadership and Financial Services Committee Chairman Jeb Hensarling would not voluntarily bring an EXIM Bank reauthorization bill for consideration by the House of Representatives. As a result, to break this impasse, with the support of at least 40 House Republicans who were willing to ignore the wishes of their leadership, Republican Congressman Stephen Fincher of Tennessee filed a discharge petition and, on October 9, the necessary signatures were achieved to bring to the House floor a petition to discharge the committee of jurisdiction from considering a bill reauthorizing the Bank. Virtually every House Democrat signed on to this discharge petition. Subsequently, on October 26, the House of Representatives passed a Motion to Discharge the Rules Committee from further consideration of the US EXIM Bank reauthorization bill. This was the first time since 2002 that a discharge petition had been successful. 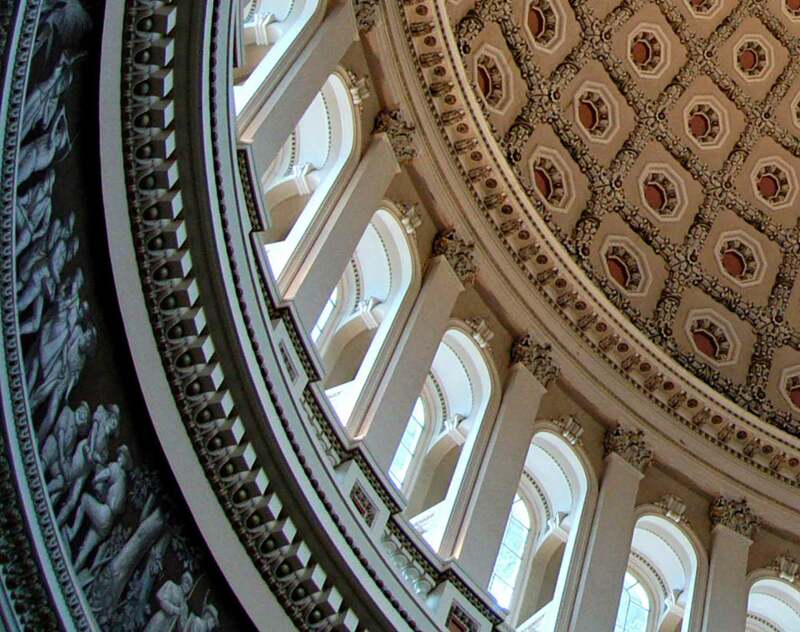 Once a reauthorization bill reached the House floor, the floodgates opened and on October 27 the House of Representatives overwhelmingly passed the EXIM Bank reauthorization bill. Notwithstanding this procedural achievement, it became clear that if an EXIM reauthorization were to be approved by the Senate and thereby to become law, it would need to be included in a "must pass" piece of legislation as the Senate would not consider an EXIM reauthorization bill separately. For this purpose, the long-term highway bill—which has no bearing on the subject matter or operations of US EXIM Bank—was used as the vehicle to carry an US EXIM reauthorization over the finish line. After additional procedural wranglings, on December 3, by a vote of 359-65, the House of Representatives passed the highway bill conference report that included the four-year reauthorization of US EXIM Bank and later that same day, the Senate likewise did so. Finally, on December 4, 2015 the US President approved the conference report and the US EXIM Bank reauthorization became law. Now that the US EXIM Bank has been reauthorized, an ongoing concern is that the Bank's opponents will continue the fight by resisting Senate approval of the President Obama's nominees for the Bank's Board, irrespective of the merits of the nominees. With only two of five seats on the Board filled, the Board lacks a requisite quorum to approve loans greater than US$10 million, which make up a significant majority of the Bank's balance sheet. That said, given the strong level of Congressional support for US EXIM Bank's reauthorization, it seems more likely than not that an additional nominee to the Board will eventually be approved, thereby allowing the Bank to resume making larger loans. No matter the outcome, Africa is too big to be contained by these constraints in political vision that have hampered US EXIM Bank's operations. The protracted questions over the future of the US EXIM Bank illustrate more broadly that if the US can't get it together to engage productively with Africa, others will no doubt fill the void, including through supporting the export of alternative goods from their countries to Africa. Should that prove to be the case, US companies and the workers they employ may turn out to be hurt the most by this outcome. The reauthorization of US EXIM Bank and the restoration of its capacity to lend above US$10 million are important signals of US credibility in Africa and the United States' willingness to compete for global trade opportunities. That said, the future of Africa is not dependent on the future of US EXIM Bank. Fortunately, Africa has alternatives.